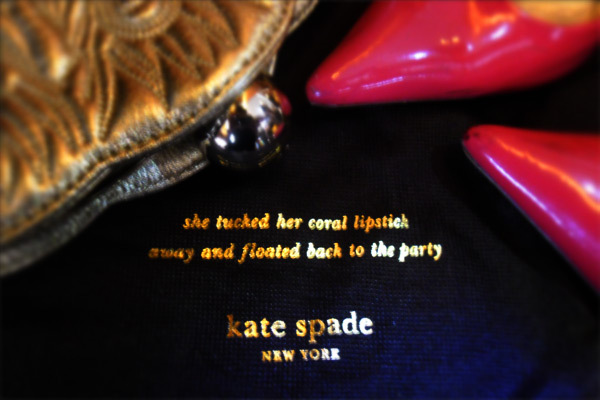 "She tucked her coral lipstick away and floated back to the party"
It's quite interesting how this dust bag manages to remind me of all the best parties I attended. Indeed the most memorable moments are those that you spend chatting with your girlfriends privately in the powder room and after you've freshened up, you go back to the battle ground. The prefect phrase for the perfect mood. 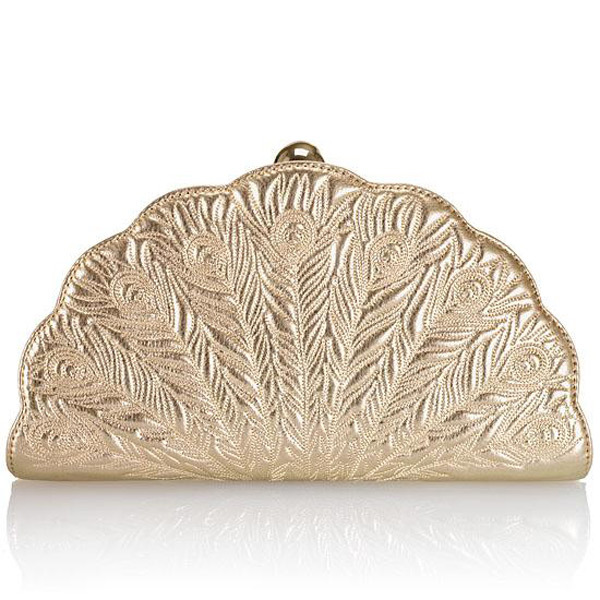 Kate Spade Peacock Lane Kenessa Clutch US$395 at Polyvore!